Hello Belle of the Kitchen readers — and happy September! 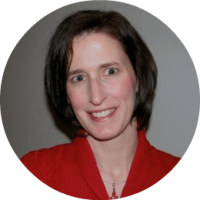 I’m Carrie from Kenarry: Ideas for the Home where we share recipes, crafts, DIY projects, kid activities and other ideas to help families create homes they love. 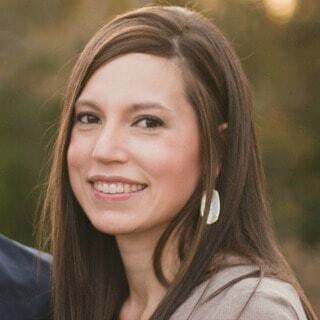 September means football season is kicking off so I brought over a fun idea that’s perfect for game day. 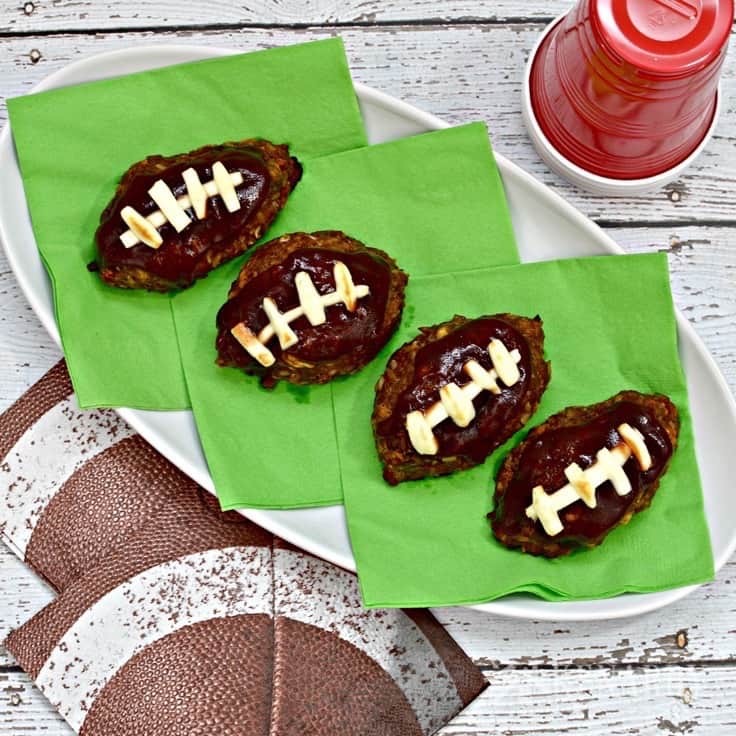 This barbecue football mini meatloaf recipe makes 4 little loaves, each shaped like a small football. Is it just me or did September seem to sneak up on you this year too? I feel like I blinked twice and summer was over. This month brings the beginning of a new school year, leaves starting to change color and cooler temperatures throughout most of our country. It also brings another new season of that all-American pastime, football! My husband, Kent is a big fan of the Seattle Seahawks. If they’re playing on a Sunday or Monday night, it’s inevitably what’s playing on the big screen in our family room downstairs. I cannot personally claim to know much of anything about the game of football. I mostly watch for the commercials or enjoy it as an opportunity to catch up with friends. I am, however, a big fan of making delicious food for game day, especially fun food like Ashlyn’s Game Day Chocolate Chip Cheesecake Ball shaped like a football. To celebrate the beginning of football season, I thought it would be fun to share another football shaped idea with you. The barbecue football mini meatloaf recipe I’m sharing today makes four small football shaped loaves. You could easily modify it though to make just one big football meatloaf. 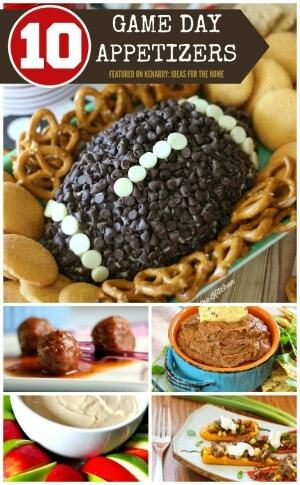 Or make the portions smaller for football shaped barbecue meatballs. Wouldn’t that be a cute appetizer? 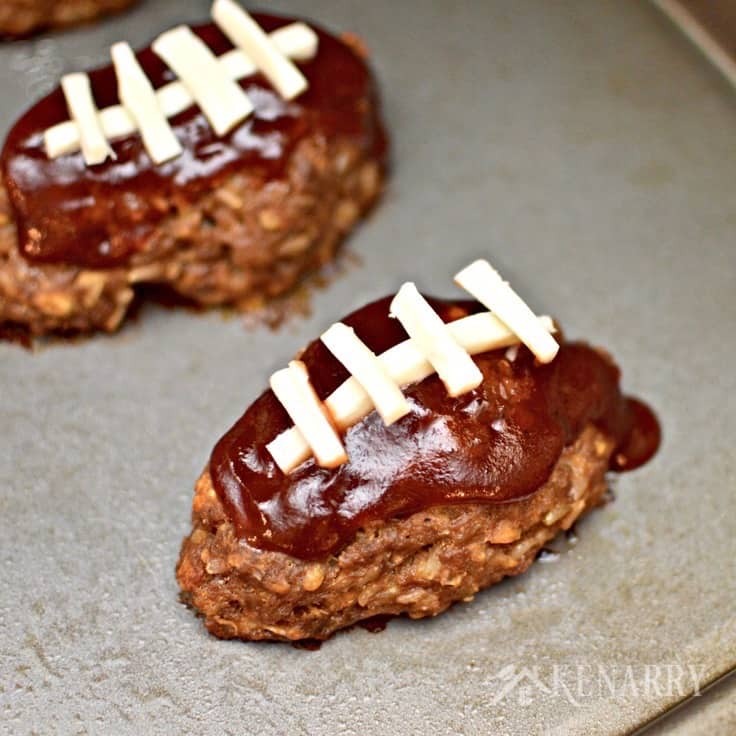 This barbecue football mini meatloaf recipe is really easy to make. 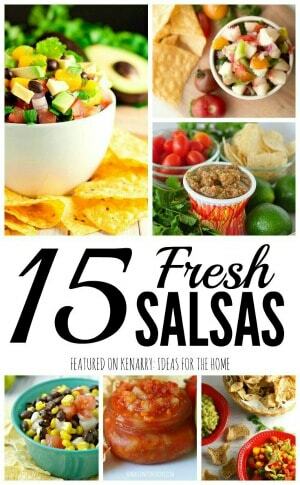 You just combine all of the ingredients in a large bowl. Then divide the meat into four little loaves, using your hands to make them football shaped. 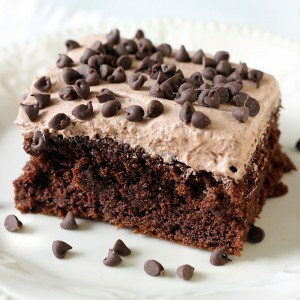 After baking for a bit, you top each one with a little barbecue sauce and strings of mozzarella to make the laces. Return the barbecue football mini meatloaf pan to the oven for another 5-10 minutes until the cheese is melted. 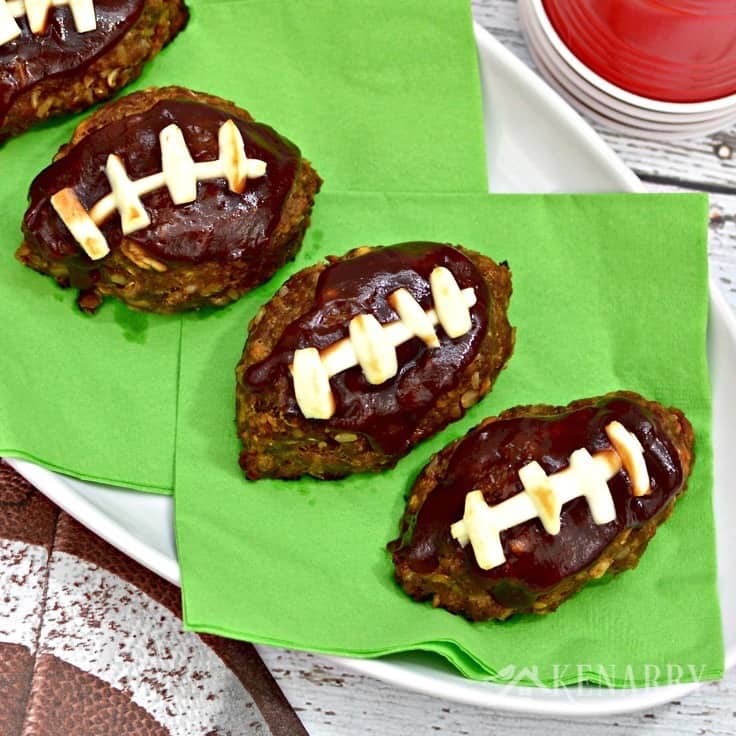 Then you’re ready to serve these barbecue football mini meatloaves for dinner or as a game day snack. 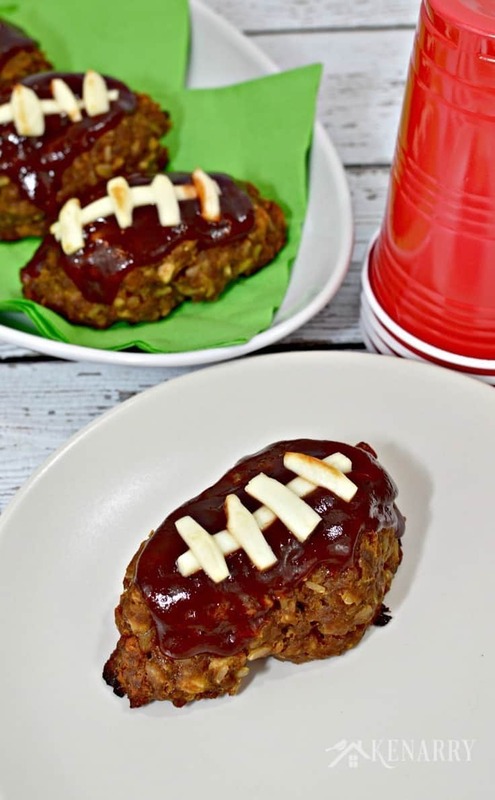 This barbecue football mini meatloaf recipe would be great to serve your junior high, high school or college players to fuel up before the big game, to celebrate a victory or to comfort them after a loss. 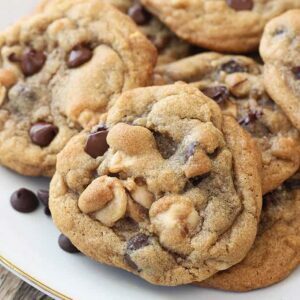 They’d also be a big hit to bring for tailgating or to a potluck party to cheer on your favorite football team. If you’re trying to avoid red meat, you can also make this recipe with ground turkey. 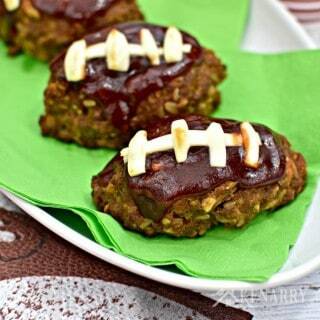 In fact, it was my Sweet Barbecue Turkey Meatloaf that inspired this barbecue football mini meatloaf idea. 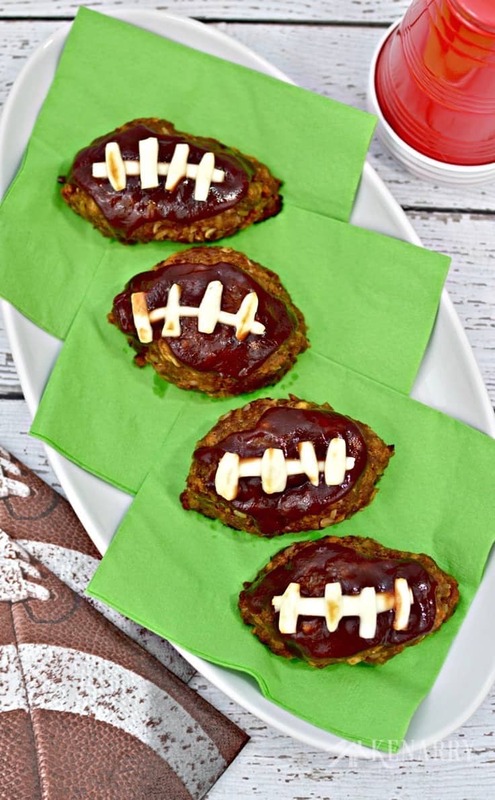 Prepare a barbecue football mini meatloaf batch ahead of time. Instead of baking them, put them on wax paper or parchment paper and freeze each football shaped meatloaf individually. Once they’re frozen solid, you can transfer all of the football meatloaves into a large resealable freezer bag. Then on game day, you just pop them out of the freezer bag to thaw early in the day. Then just before the game, bake a pan of football meatloaves and top with the barbecue sauce and mozzarella laces. 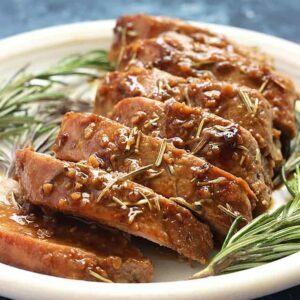 We like our barbecue football mini meatloaf recipe to be on the sweet side, but you can easily omit the brown sugar if that makes it too sweet for you. Or if you prefer more of an Italian flavor, our Homemade Meatballs would also be awesome to make as footballs. 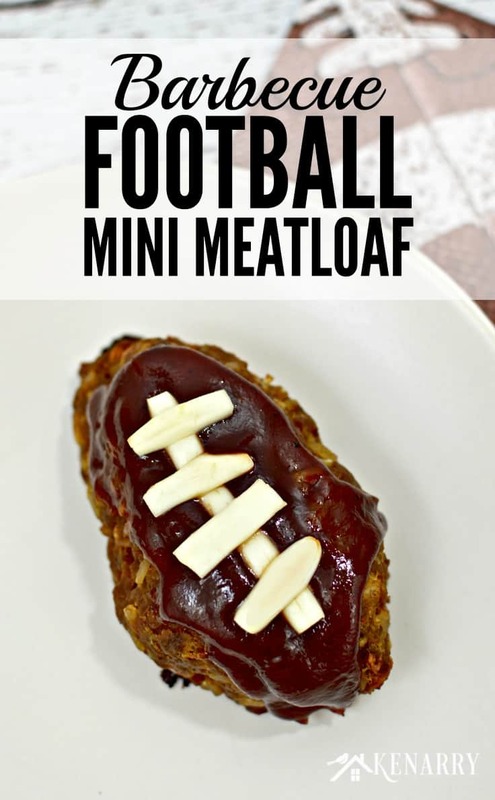 If you make this barbecue football mini meatloaf recipe into one large football shaped loaf like I suggested earlier, you will need to extend the cooking time to 60-80 minutes to make sure it cooks all the way through. Likewise, decrease the cook time if you divide the barbecue football mini meatloaf recipe to make much smaller footballs as an appetizer. 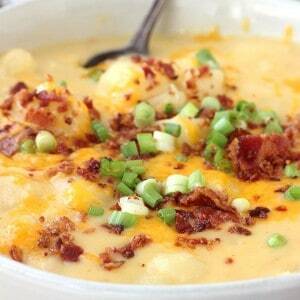 What’s your favorite recipe to make for game day? Please comment below and share. Ashlyn and I are always looking for new ideas for the kitchen.